Back in 2011, Apple called Samsung a bunch of no-good, phone-stealing copycats (legally speaking,) demanding nearly $1 billion. Fast forward five years and the South Korean electronics giant that’s now best known for producing pocket-sized explosives got what appears to be a lucky break from the highest court in the nation. The Supreme Court ruled unanimously today that in the case of a “multicomponent product,” like a smartphone, “the relevant ‘article of manufacture’ for arriving at a damages award need not be the end product sold to the consumer but may be only a component of that product.” In plain English, Samsung might not have totally ripped off the iPhone, just certain design elements. 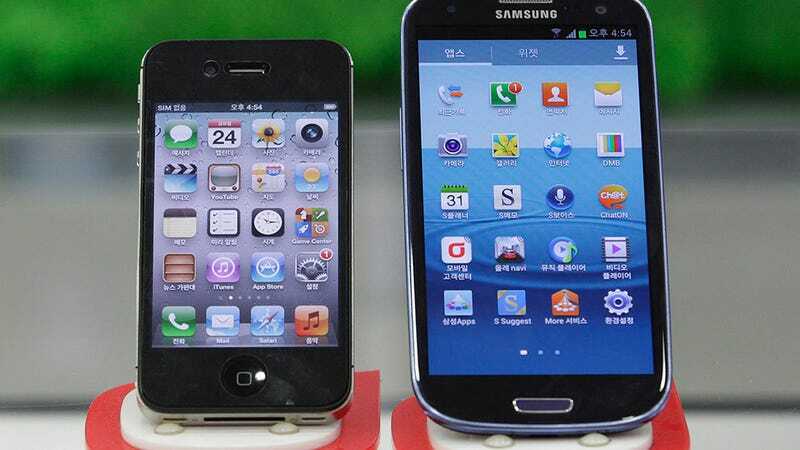 Apple initially sought $930 million from Samsung, which was successfully reduced to $548 million last May. Although the Supreme Court’s ruling isn’t exactly great news for Samsung, its likely to result in yet another reduction in the damages eventually paid out to Tim Cook and company. What those damages will look like has yet to be seen and will not be determined by the Supreme Court. “This Court declines to resolve whether the relevant article of manufacture for each design patent at issue here is the smartphone or a particular smartphone component,” Justice Sotomayor wrote, leaving the job of figuring out compensation to the Federal Circuit court. Is the end in sight for Samsung and Apple’s legendary feud? Yes. Or so we can all hope for the least riveting court case of the century.